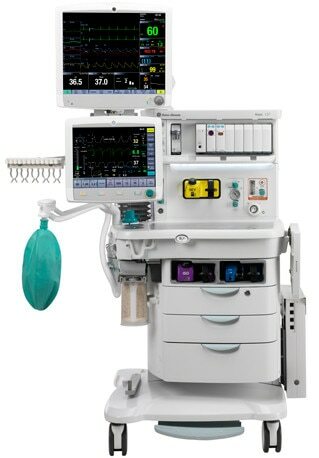 Aisys CS2 features a movable 15-inch touch ventilator display screen for a unified CARESCAPETM-inspired user experience. With timesaving quick pick choices, flat menus and tunneling alarms, the Aisys CS2 can help you deliver precise care with a personal touch every day. Electronic agent control helps provide exceptional benefits, such as automatic record keeping of set agent concentrations and agent usage calculations. ecoFLOW provides information that may help clinicians maintain their desired inspired oxygen concentration. During low and minimum flow anesthesia, ecoFLOW displays agent consumption data that can help in mitigating wasteful over delivery of fresh gas flow. Using less agent means spending less money, which can have a positive impact on your bottom line and the environment when waste gases are reduced. 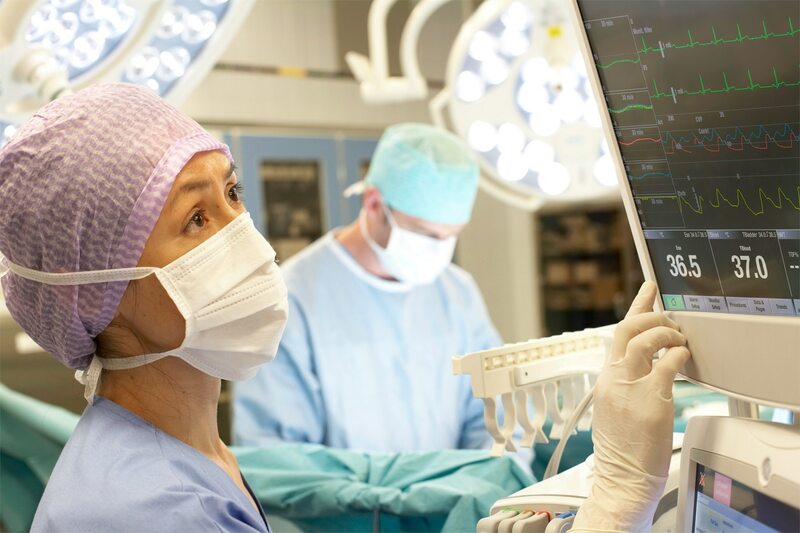 GE's digital platform serves as a foundation from which to build innovative solutions to help you transform the anesthesia experience of the future. The INviewTM Patient Displays are mounted on a movable arm with 360°of rotation to allow flexibility and countless position choices to suit clinician preference. The INview system places critical information and controls in view and within reach. The Aisys CS2 user interface was designed with intelligent menus that may help reduce set-up time and help minimize training needs. We analyzed countless Carestation data logs, reviewing keystrokes and menu interactions to design an intuitive user interface that truly fits the way you work. With timesaving quick picks, flatter menus and tunneling alarms, you can directly make adjustments like oxygen and flow settings with one touch. Features like the automatic checkout were designed to be fast and responsive, yet can be bypassed in an emergency. When it comes to patient care, your monitor should be as adaptable as you are. Keeping data flowing is critical and quality care begins with accurate, timely data. 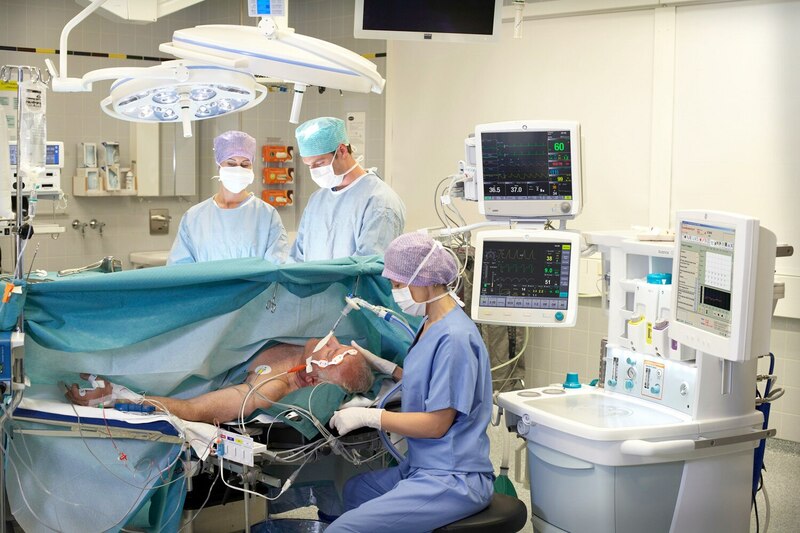 CARESCAPETM modular monitors can help you adapt to your patient's needs, helping you improve patient flow, better manage staff workload, and deliver consistent quality care across the perioperative environment. Proven reliability and data accuracy - A legacy that combines the two great traditions of Datex-Ohmeda and Marquette Electronics. Improved data access - Acquisition and analysis algorithms-along with other clinical intelligence accessible right at the bedside-support informed decisions that can contribute to better clinical outcomes. User-friendly interface - Intuitive and easy to use, CARESCAPE modular monitors can help reduce training costs, and allow you to focus more on the patient and less on technology. Network compatibility - A real-time, always-on network backbone ties CARESCAPE modular monitors together for more connected, timely care. Low-cost integration - CARESCAPE modular monitors have been designed to leverage your existing monitoring network without the cost and disruption of a full system replacement. Maximize uptime - Software can be changed quickly and monitors can be serviced remotely, helping to prevent outages and improve uptime. Easily configurable monitors - CARESCAPE modular monitors' ease-of-use reduces complexity across the hospital to help ensure more consistent care and enable staff to work more productively. Remote serviceability - CARESCAPE modular monitors can often be easily serviced by our technicians remotely, so you can be up and running faster. Connect devices in a flexible, scalable, integrated system that provides fast access to clinical intelligence across your enterprise. Reconfigure quickly for patient acuity and type. Large 19” touchscreen display. The INview* Patient Displays are mounted on a movable arm with 360° of rotation to allow flexibility and countless position choices to suit clinician preference. The INview system places critical information and controls in view and within reach. The new and improved CARESCAPE Respiratory Module is a single-width compact airway gas module that performs using a smaller sample flow size and a 67% increase in Respiration Rate (RR) measurement range. Accuracy and enhanced performance specs in a compact, environmentally friendly design. The 2.7 liter volume ABS delivers quick response to changes in fresh gas and anesthetic agent due to its small volume. Visible rising bellows helps indicate leaks. Autoclaveable—no tools disassembly. All three main components (vaporizer, ventilator and gas delivery) on Aisys CS² are digitally controlled. Clinicians can be confident that the information displayed is actually measured—not estimated. Anesthetic delivery accuracy exceeds published performance specifications of other electronic and conventional anesthesia vaporizers. Central Brake, metal work surfaces and top shelf mounting rails. Integrated gradual-level illumination. Three or four-drawer options. Supports horizontal and vertical mounting displays. PCV-VG delivers a consistent tidal volume with all the benefits of Pressure Control Ventilation and helps to ensure patients receive the same volume regardless of compliance changes. •	In PCV-VG, the 7900 SmartVent™ delivers the preset tidal volume with the lowest possible pressure using a decelerating flow •	The first breath delivered to the patient is a volume-controlled breath; this is visible on the screen with a ‘square’ flow waveform and a ‘shark-fin’ pressure waveform for the very first breath. The patient's compliance is determined from this volume breath and the inspiratory pressure level is then established for the subsequent PCV-VG •	Compliance in your patient’s lungs changes breath-by-breath. Pressure Control helps maximize time and Mean Airway Pressure for gas exchange and helps prevent baurotrama, but volume will vary with changes in compliance •	Helps ensure patients receive same volume regardless of compliance changes caused by packs retractors, position, surgical exposure or level of relaxation. Consistent tidal volume in the face of compliance changes •	Pressure Control gas delivery – decelerating flow, entire inspiratory time for gas exchange •	Benefits of pressure control ventilation with the security of a consistent tidal volume Watch the PCV-VG video here.